This is what was on the monitor this evening. 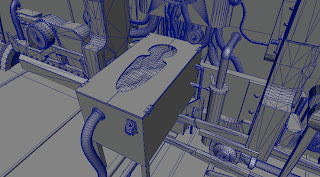 A 3D scene under construction. Modelled in Maya. Scene 36, shot 13.